Shimmer of Pearls – the light and color changes of Mother or Pearl was the inspiration for this Sampler in the “Lights” Series. 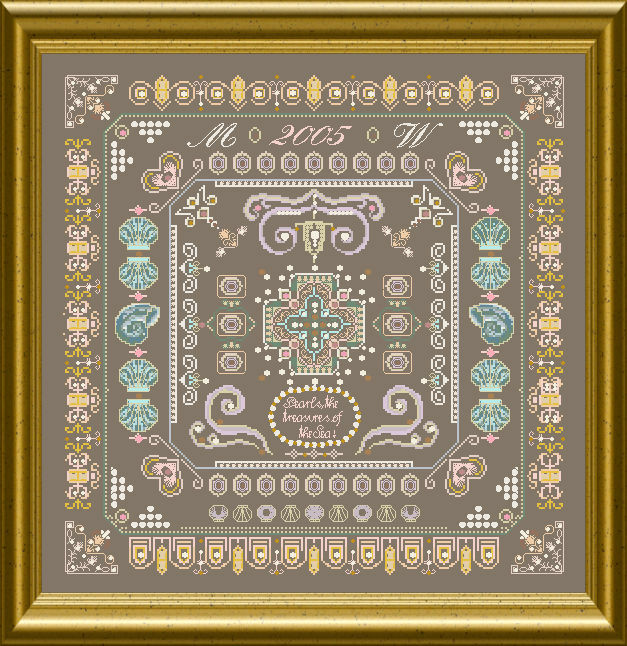 With light and airy colors, motives from the sea and an added alphabet you can create a lovely piece, which can be personalized and used as birth sampler or anniversary givt. Add some genuine Pearls from a broken strand and create something very personal and memorable ! 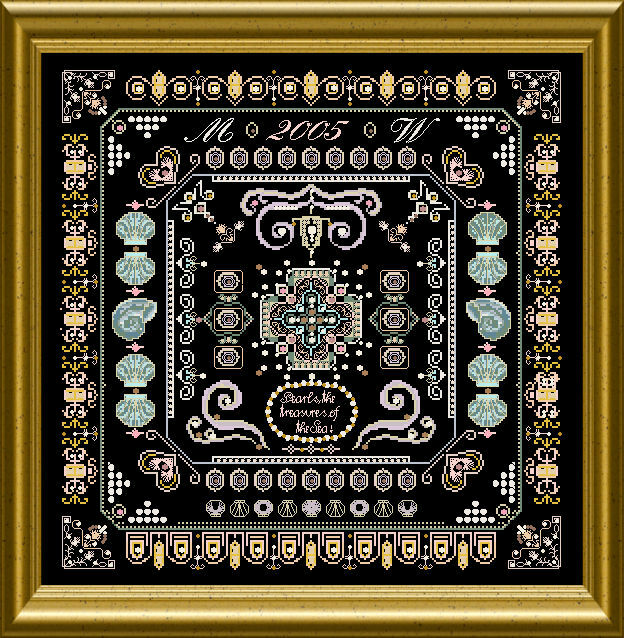 Cross stitches and Special Stitches are used as well as various threads, beads and sew-on sparklies. 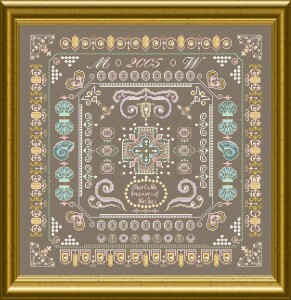 The mere design size is 250 x 250 stitches.